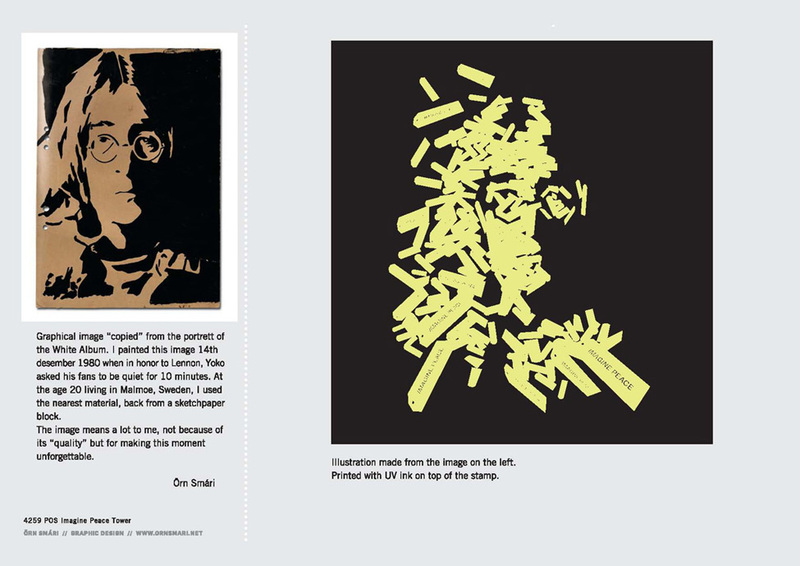 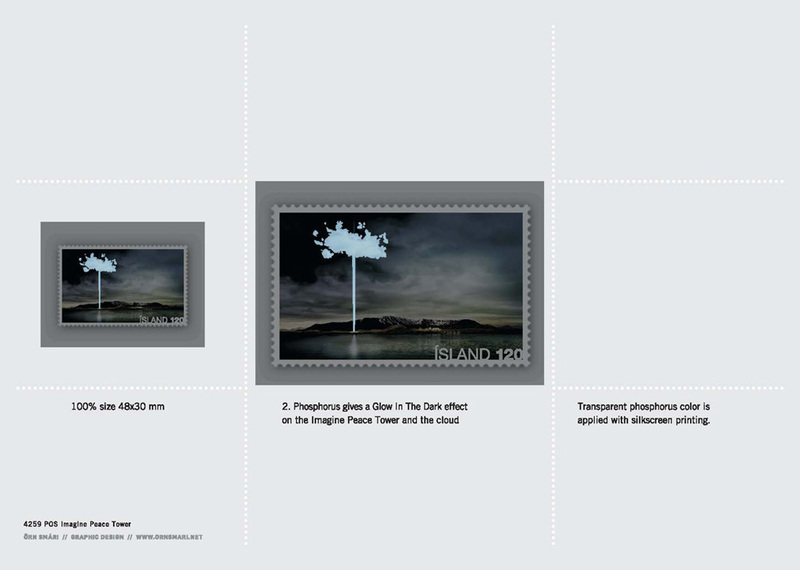 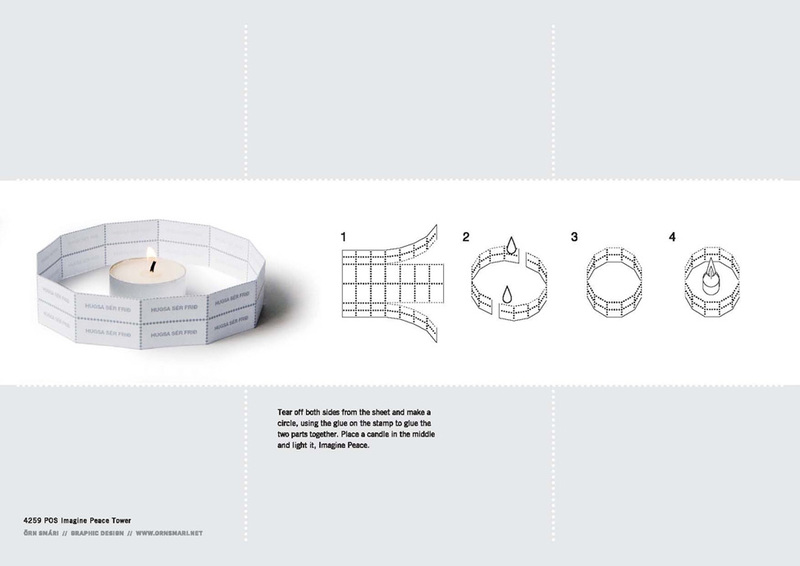 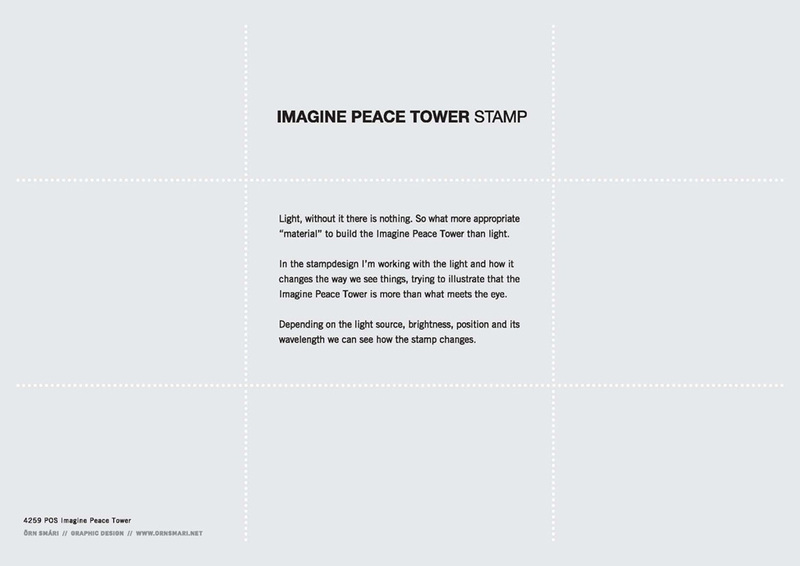 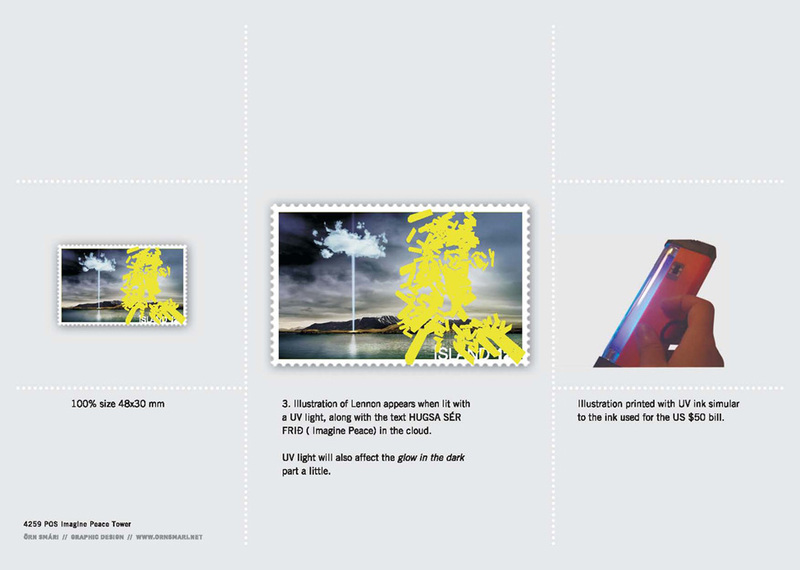 Printing process of stamp: 4 colour offset and UV ink (John Lennon image) and phosphorus (glow in the dark effect) on the light column (Imagine Peace Tower). 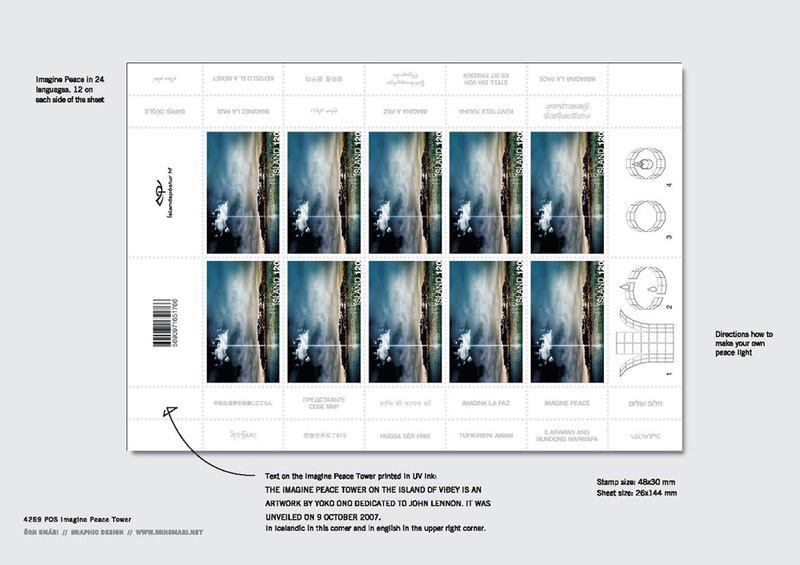 Additional printing colurs are Pantone silver on stamp selvages. 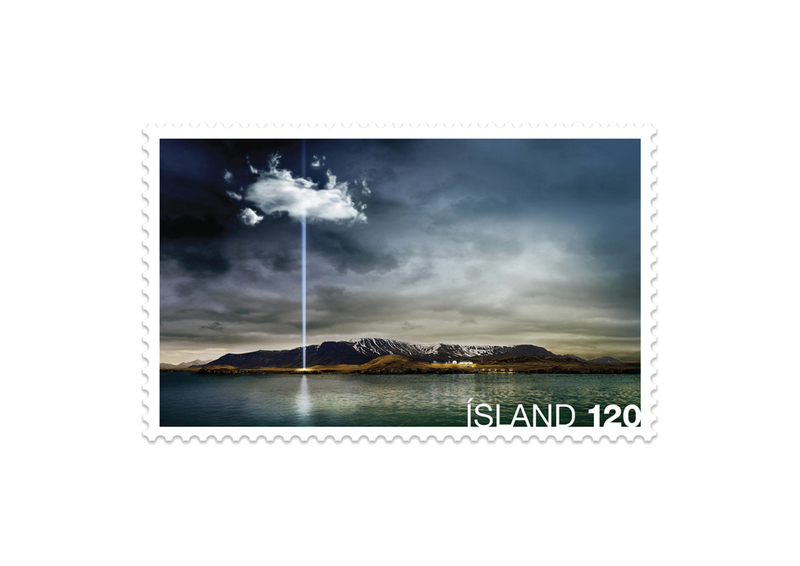 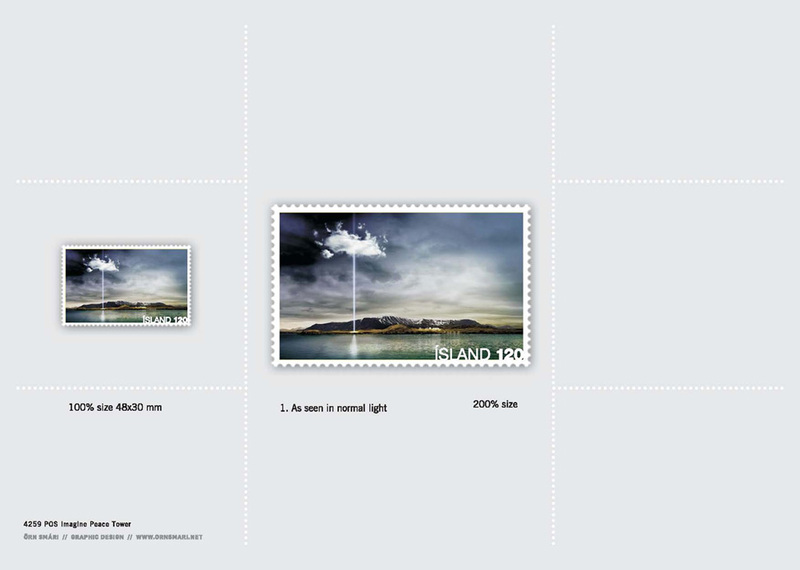 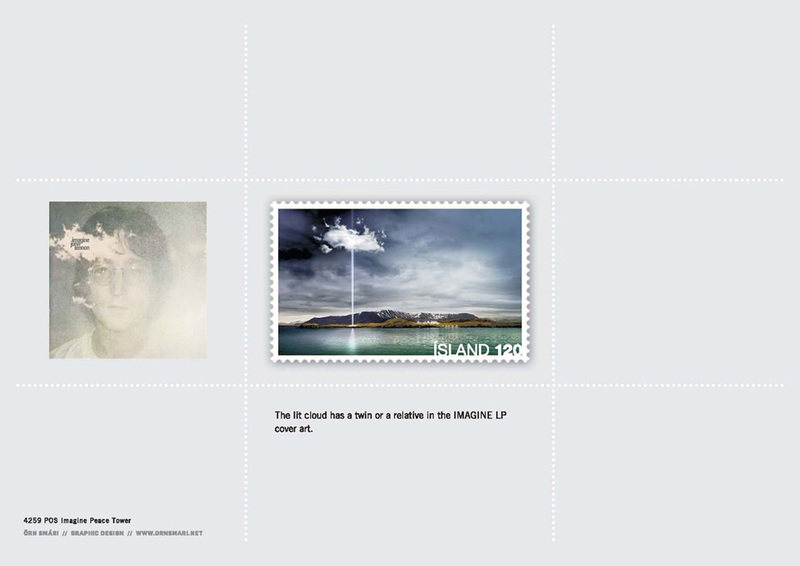 Stamps, stamp sheets & First Day Covers are available to buy from the Iceland Post Office here.